I am looking for a way to automatically accept a cookie with a specific name, not based on site. 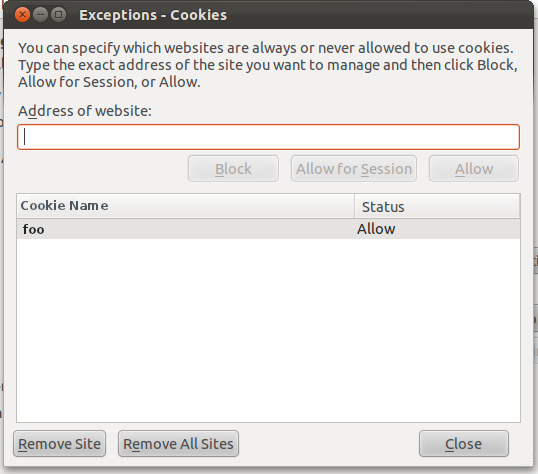 The expected behaviour would be to block all cookies, unless its name contained foo in which case I would allow that cookie. Does anyone know of an add-on or otherwise which can allow cookies by Name? This question is kind of the inverse of another Super User question which was resolved without blocking a cookie name: Firefox: how to block cookies by name, not by site? I have been looking into a similar matter regarding cookies recently, but I didn't find and good Firefox add-on that can do this. What you can do is to write a Greasemonkey script that deletes all cookies except the one(s) with the name you want. Not the answer you're looking for? Browse other questions tagged browser-addons cookies or ask your own question. 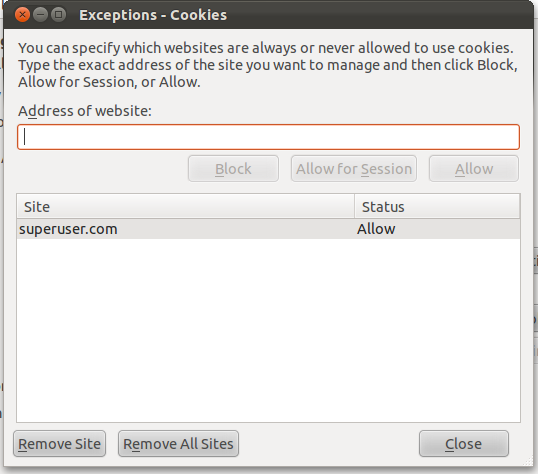 Internet Explorer 9 will not accept cookies from Intranet sites? How can I keep persistent cookies from certain domains only? Strategy & Steps to whitelist Chrome cookies for Sites whose logins & passwords are saved? How can I diagnose why a website signs-out when cookies are enabled?